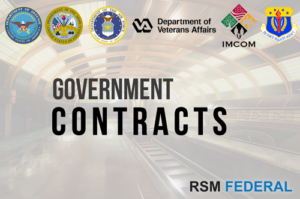 Unlike many consulting firms, RSM Federal is both a consulting firm and a government services contractor. 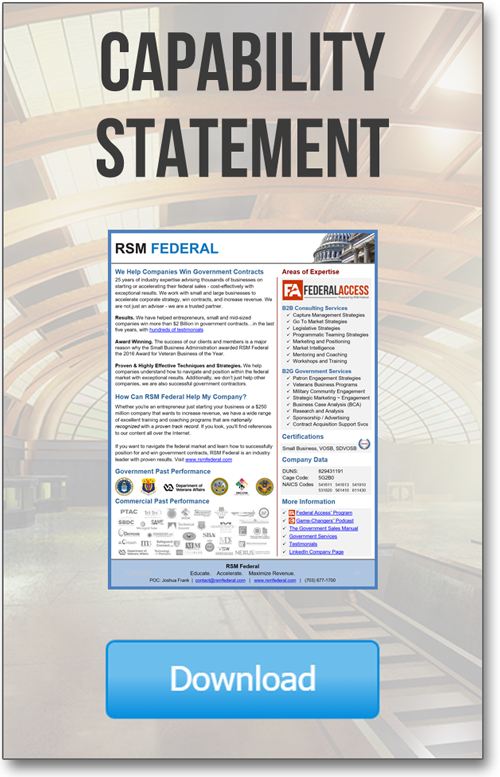 RSM Federal has supported contracts with the Department of Defense and U.S. Federal Agencies. These include the US Army, US Air Force, the Department of Veterans Affairs and the Office of the Secretary of Defense. Of special note, RSM Federal is proud to have been identified as a DoD subject matter expert on the integration of technology, marketing and patron engagement strategies within the secure DoD framework. 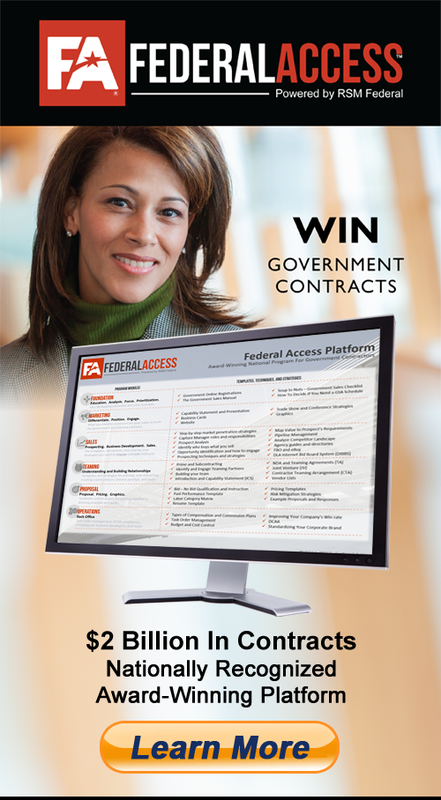 RSM Federal partners with companies to qualify, engage, and win government contracts. Depending on the opportunity, our expertise can differentiate and provide competitive advantage. We are just as excited about winning government contracts as the next company. If you would like to team with RSM Federal on government acquisitions, please contact us. RSM Federal works with associations and coalitions in Washington DC to protect and preserve the benefits promised to our Nation's service members and their families. We understand the military patron and their families. 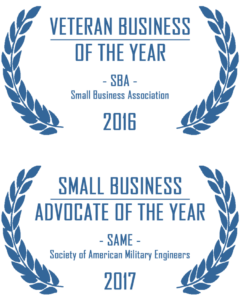 RSM Federal facilitates program and patron engagement strategies for managing online presence, integrated messaging, and is familiar with the leadership, mission, objectives, and strategic efforts necessary to connecting with the military patron, their families, Veterans, and retirees. If you want to team with RSM Federal on an opportunity, let's talk.